Spend an engaging evening with one of public radio’s rising stars, Joshua Johnson, host of the NPR radio program 1A. WLRN’s VP of News Tom Hudson and WLRN Keys Reporter Nan Klingener will moderate a lively conversation with Joshua about important topics with national and regional relevance. Audience participation will be welcomed. 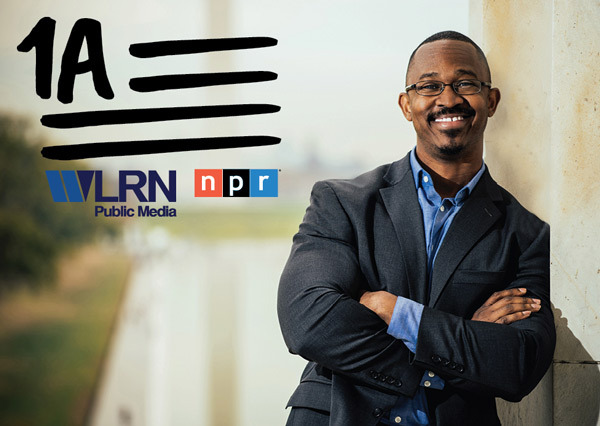 Joshua Johnson hosts the radio program 1A, one of the most important daily conversations in America. The program airs on 91.5 FM, WLRN in Key West, weekdays at 10am. Inspired by the 1st Amendment, Joshua and 1A bring new insight and inquiry to the most pressing issues of our time. Joshua was born and raised in West Palm Beach, Florida. He began his public radio career helping launch a unique regional news partnership between Miami’s NPR station, WLRN, and The Miami Herald. Today, Joshua broadcasts 1A from producing station WAMU and distributed by NPR. Joshua is an active member of the National Association of Black Journalists.